In the run-up to the EcoMobility World Festival 2015, the City of Johannesburg has been working on a comprehensive Transport Management Plan. The City has sought to provide an inspiring example of decongestion in a busy neighborhood while accommodating the needs of residents, visitors, and workers. Long-term, the goal of the Transport Management Plan has been to make walking, cycling and public-transport the default mobility options for Johannesburg residents. To achieve this goal, the Plan outlines three types of change: infrastructural, operational, and behavioral. These three types of change are crucial for any transition to sustainable mobility. In Johannesburg, the infrastructural changes begin with the EcoMobility Festival but will continue long after it. For instance, cycle lanes, public transport lanes and wider sidewalks are all coming into effect during the month of October 2015. Other projects, however – including an iconic cycle bridge across Sandton Drive, to be sponsored by Growth Point in an example of public-private cooperation – have been developed in conjunction with the Festival but will be built afterwards. Operational changes for the Festival itself include alternative arrangements for private vehicles and deliveries, changes to signals and signs, and traffic flow management for the duration of the road closures. The Sandton Central Business District, where the Festival will take place, will be encircled in its entirety by a public transport loop. One lane will be taken from cars and devoted to public transport, with the changes made permanent by June 2016. To complement this change, trees will be replanted along the main routes to make the public transport options more attractive to users. Pop-up cycle lanes will lead commuters to Sandton from various parts of the city. These will feature improved safety controls at intersections, including marshals, to guide cyclists through heavy traffic. Johannesburg has also put into place a number of systems to encourage the use of public transport. Information on routes and fares will be distributed extensively, and a special Trip app has been developed for the Festival. Minibus taxes will be popularized, and those with Sandton as a destination will sport stickers to increase visibility. Park and ride services will lead visitors and workers to within one mile of Sandton, where a range of mobility options, including Tuk Tuks, cycle sharing, and standard services like Uber, will be available. The legacy projects for the EcoMobility Festival have already begun, with the donation of up to 1,000 bikes to schools in Alexandra. The bikes were presented recently by Mayor Tau. Specific legacy project targets are now in place for 2016, 2017 and 2020. 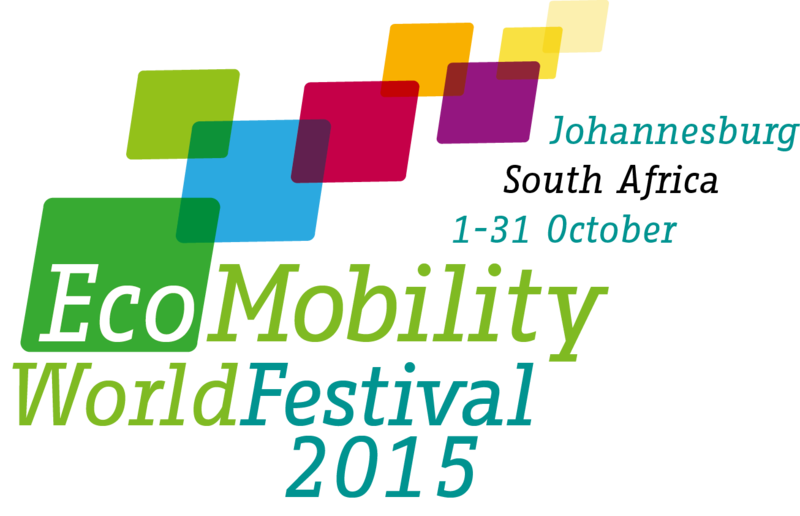 Johannesburg has committed to changing transport in the city, and the EcoMobility World Festival is only the beginning!